Gyohomiso can only be bought in our shop in Todaiji Nigatsu-do Temple. We make it by hand from soybeans, burdock root, and other natural ingredients using a secret recipe that has been passed down for over 1,000 years from the Old Todaiji Temple. 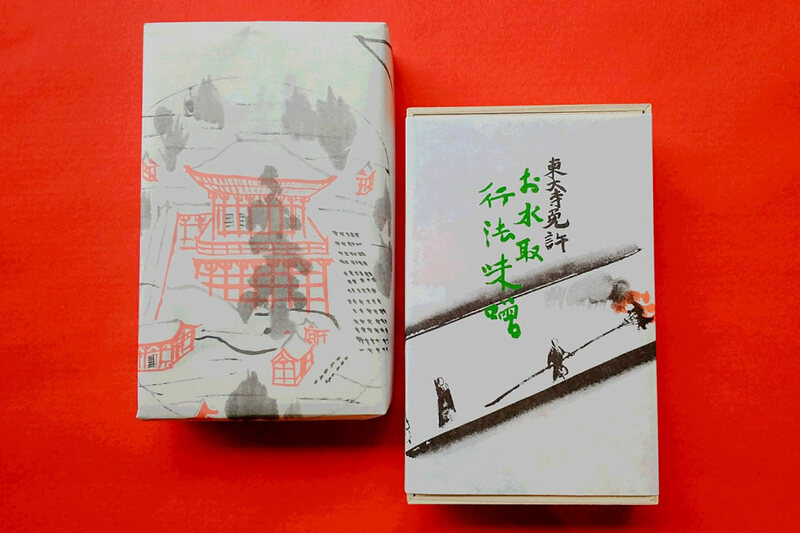 We use special wrapping papers, drawn by Kenkichi Sugimoto, who is a Western painting artist and an illustrator. Wrapping papers include a picture of camellia, a picture of Todaiji Nigatsu-do Temple, and others. 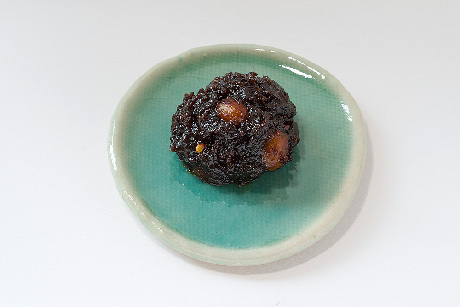 Please enjoy his picture as well as our miso and feel the charm of an ancient capital. 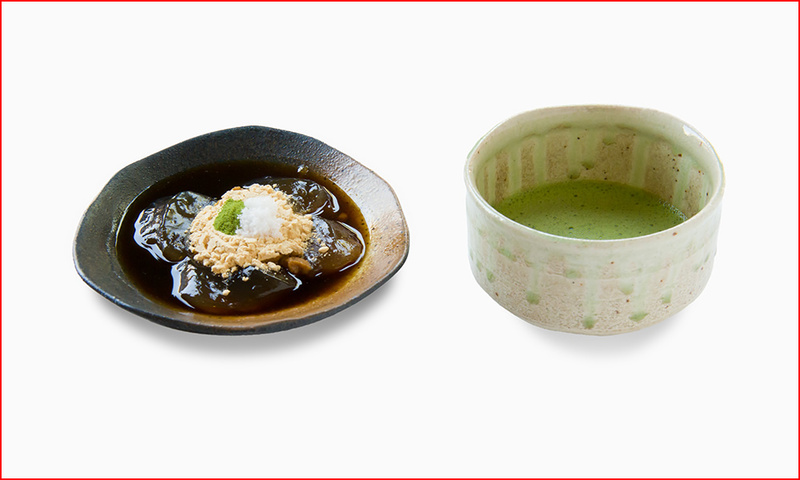 You can enjoy our miso by eating with rice, by cooking with tofu and vegetables, and by dipping vegetables in it. Miso is also good with alcohol and gives you a good appetite. 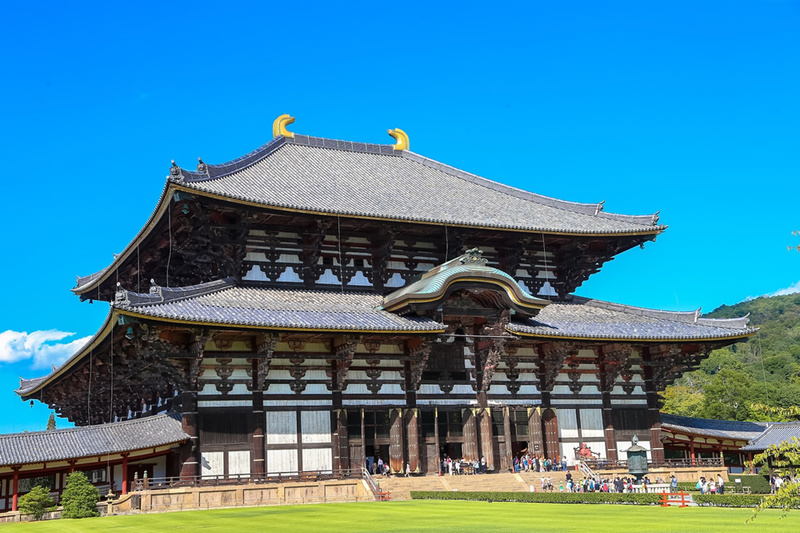 Todaiji temple which boasts about 1200 years its history is famous for the sightseeing of the great Buddha statue, which is the principal deity of the temple, and is crowded with a lot of sightseeing guests every year. Besides, the temple is known as the hard training place for priests. This religious event is a Buddhist service to pray the peace and the security of our country. Priests take over sins from eleven-faced Kannon, which is the principal deity of Todaiji Nigatsu-do, and practice religious austerities in place of people. This religious event is commonly called Omizutori. The event has never been stopped since its beginning and will be held 1256th times this year. 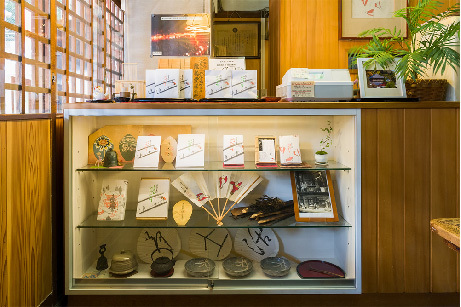 The event was originally held from February 1st to February 14th in the lunar calendar and is also called Syu-ni-e (Syu means perform, ni means February, and e means meeting). 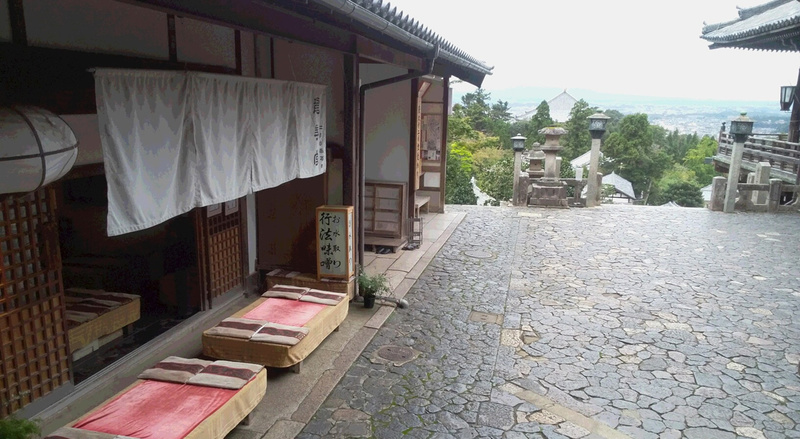 Nowadays, the event is held at Nigatsu-do from March 1st to March 14th in the solar calendar. Todaiji temple was founded by Shyomu Emperor in 728A.D. for the memorial of the Crown Prince. Kongorikishi statue at Nandaimon entrance, which was built by Unkei , and Benkei and their 18 followers, is also famous. 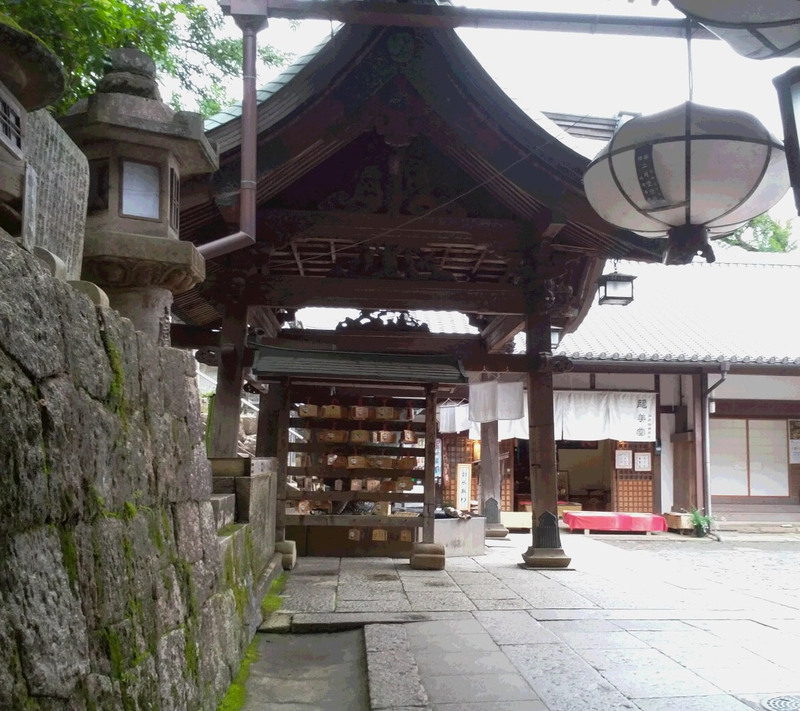 Nigatsu-do, where Omizutori event is held, was founded by priest Jicchu, but the building was lost in the fire in 1667. Two years later, the temple was rebuilt by Ietsuna Tokugawa. 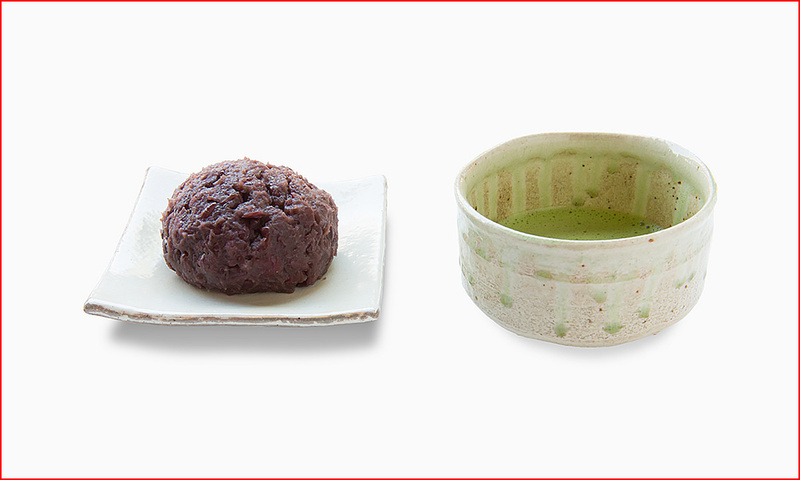 You can eat sweet food while watching Nigatsu-do. 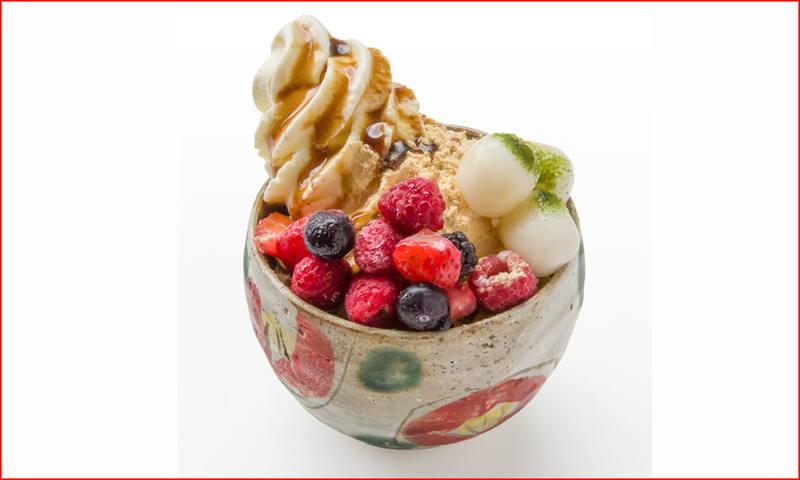 There is also shaved ice in summer. Please take a Nara city bus, outer loop bus, at Kintetsu Nara Station. Please get off at Daibutsuden Kasuga-Taishya. It takes 4 minutes. The shop is 15 minutes walk from the bus stop. 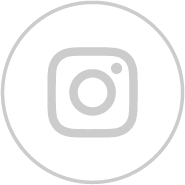 © 行法味噌　龍美堂. All Rights Reserved.